Change is the only guarantee in life, and life here at The Neighbors is no different. A few weeks ago, Tony Manzella, the Community Mentor/Administrator for our facility, announced his resignation. His last day was April 13. Tony had been with the County for 12 years. He will be missed, and we all wish him well as he begins the next chapter of his life. Tony’s departure means that we have our own change to adjust to, that is, finding a new Administrator for The Neighbors. That process has already begun. The County has been in contact with professional associations related to skilled-nursing facilities, and has published the job listing to encourage qualified candidates to apply. It is hoped that we can appoint a new Administrator not later than the end of June 2018. In the meantime, life goes on. Paula McClelland, our Director of Nursing, has been appointed as the interim Administrator. She will be handling many of the duties that Tony formerly performed. Assisting her are the other members of the administrative staff here at The Neighbors, as well as the County Manager and County Administrative Department. Regular meetings, active communication, and shared workloads will help us get through this transition as smoothly as possible. As with any change, there are uncertainties and concerns. 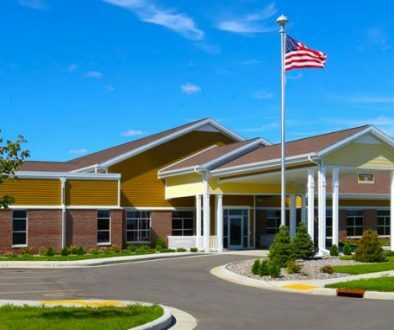 It is important that everybody in The Neighbors family, both staff and residents, understand that Dunn County has remained committed to our facility and the people it serves. There has been no discussion of selling The Neighbors, or leasing it to a private company, or bringing in a management company to run it. The County has a long tradition of providing skilled nursing services and resources to its residents, and maintaining the high-quality care for which we are known has been a priority for the County Board. leadership come new ideas and new energy. Change is inevitable and transitions are cause for anxiety, but we have many reasons to think that this change will end up being a good thing.